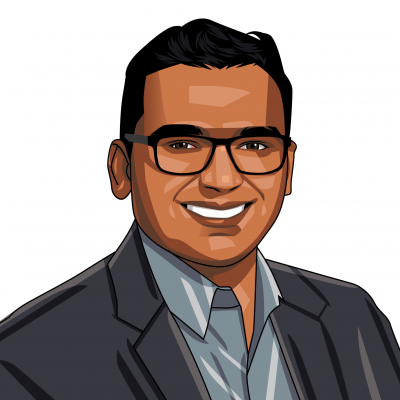 Pradeep Nayar leads human-centered initiatives to drive engagement, innovation and adoption as the director of user experience at Allstate Insurance Company. Prior to joining Allstate, he held several UX leadership roles in the B2B e-commerce and media industry in large organizations going through digital transformation. In his 19 years of working in the technology industry, Pradeep has held roles spanning software development, solution architecture and user experience. His diverse background has helped him understand customer problems, envision business opportunities and solve them in creative ways leveraging technology. Pradeep holds a bachelor’s degree in computer science and engineering, a master’s degree in computer science from Illinois Institute of Technology and a master’s degree in human-computer interaction from DePaul University. His current area of interest is in enterprise digital transformation, omni-channel experiences, organization design, organization culture and digital product management. Design is always at the forefront for Pradeep in his interactions with people, process, products, services and experiences. His current passion for teaching (and learning) has him working occasionally as an adjunct professor at DePaul University teaching the fundamentals of human-centered design to graduate students. Learn how to design thinking can empower everyone in your organization to be more innovative and create incredible customer experiences that deliver business impact. Pradeep and Caitlin will open the workshop with a quick overview of how Allstate is scaling design thinking to build a culture of innovation and sharpen the customer experience focus, companywide. Everyone will leave with a preliminary roadmap for how to ignite a design thinking movement in their own organizations, including ways to help colleagues blossom into confident, capable problem solvers who make things better. Check out the incredible speaker line-up to see who will be joining Pradeep.